1. To what extent do you agree with our proposed option? The proposal clearly has benefits, in particular by removing the A303 from the landscape immediately to the south of Stonehenge. This would not only help restore the monument to its landscape setting but would also eliminate the stream of vehicle lights passing within 250m of the monument which are so intrusive at night. Nonetheless, the proposal places the western tunnel portal directly on the solstitial sightline to the SW from Stonehenge. In addition, the southern route option seems to envisage roughly 2 km of open dual-carriageway road running out broadly along the sightline together with a new two-level road junction, also placed within the sightline. All this appears to be directly contrary to Policy 3c in the 2015 Management Plan and viable strategies for implementing it (see §7). It also raises serious concerns that the integrity of the SW sightline from Stonehenge could be permanently destroyed, eliminating forever the possibility of visitors to Stonehenge once again seeing the winter solstice sun setting behind the distant natural horizon along the axis of the monument. It is the view of this Commission that we should be aiming to preserve this key sightline for eternity. There are currently stands of trees blocking the sightline but trees are temporary; on the other hand, the landscaping accompanying major roadworks could compromise the sightline irreversibly. 2. To what extent do you agree with our proposed location of the eastern portal? The location of the eastern portal does not directly raise any astronomical concerns. We note favourably that it is placed so as to restore the route of the Avenue, the formal approach to Stonehenge, whose final approach is along the solstitial axis. This final approach has itself only recently been restored, following the removal of the A344 road in 2013. 3. To what extent do you agree with our proposed locationof the western portal? The proposed western portal lies almost exactly on the winter solstice sunset alignment. See §7 for discussion. The proposed southern route (option 1S) would result in a dual-carriageway road running down the solstitial alignment for approximately 2km (mostly within the WHS) to a new two-level road junction (just outside the WHS), again on the alignment. See §7 for discussion. 5. What are the most important issues for you aswe develop our proposals for the A303/A345 Countess junction? Our main concern is that, in order to maintain as dark a sky as possible from the vicinity of Stonehenge, light scatter into the sky from any lighting at the junctions hould be minimised by using full cut-off luminaires. Our main concern is that under the proposed southern route (option 1S), this new junction would lie right on the solstitial alignment to the SW. See §7 for discussion. Our Commission, on behalf of the International Astronomical Union (IAU), works alongside UNESCO to implement the Astronomy and World Heritage Thematic Initiative (whc.unesco.org/en/astronomy/). This Initiative aims to improve the identification, conservation and management of specific types of properties connected with astronomical observations and traditional astronomical knowledge. We are concerned with Stonehenge as one of a very small number of existing World Heritage Sites with a strong relationship to astronomy. This response is confined to issues of direct interest to our Commission although we are, of course, aware of a range of broader issues. Clive Ruggles, who has submitted this response as President of the Commission, is also a member of a "Consortium of Stonehenge experts" who are separately submitting a broader archaeological view. Stonehenge is famous worldwide as an, and arguably the, iconic example of an ancient monument connected with the sky. The most tangible aspect of this is its solstitially aligned axis. Upon entry to the Visitors’ Centre, a prominent sign introduces visitors immediately to the fact that the solar alignment is one of the most important features of the site. route (the Stonehenge Avenue) from the NE, facing the direction of winter solstice sunset. This helps considerably to strengthen visitors’ appreciation of the importance of the view straight ahead through the monument at the final point of approach. The 2009 and 2015 Management Plans list the seven attributes that express the Outstanding Universal Value (OUV) of the Stonehenge World Heritage Site [MP09, p. 28; MP15, p. 32]. (N.B. The 2015 Management Plan includes Avebury but all 7 attributes apply to the Stonehenge part.) Attribute 4 is “The design of Neolithic and Bronze Age funerary and ceremonial sites and monuments in relation to the skies and astronomy”. the alignment of the Stonehenge Avenue ... and Stonehenge stone circle on the axis of the midsummer sunrise and midwinter sunset” [MP09, p. 27]. Preserving the integrity of the solstitial sightlines in the Stonehenge WHS is a major theme of an extended case study included in the second ICOMOS–IAU Thematic Study on astronomical heritage. The case study [ECS15] was one of a set presented at a side-event at the 2015 UNESCO World Heritage Committee (39COM) in July 2015, and was published in March 2016 on the UNESCO-IAU Portal to the Heritage of Astronomy (www.astronomicalheritage.net). It has since been widely disseminated both within the UK and internationally, for example at the Avebury and Stonehenge Archaeological and Historical Research Group (ASAHRG) in Jan 2015, at the European Association of Archaeologists' annual conference in Sep 2015, and at a public workshop on Science and Technology at Stonehenge held at the Politecnico Milano in May 2016. The whole Thematic Study volume is due for publication in time for presentation at the 41st meeting of the UNESCO World Heritage Committee (41COM) in July 2017. The need to preserve (and, where possible, to restore) the integrity of the sightlines is recognized in the 2015 Management Plan. Policy 3c [MP15, p. 105] is to “Maintain and enhance the setting of monuments and sites in the landscape and their interrelationships and astronomical alignments with particular attention given to achieving an appropriate landscape setting for the monuments and the WHS itself”. Action 31, already undertaken (see [ECS15]), is to “identify key views between the attributes of OUV and both into and out of the WHS [and] identify key astronomical alignments”. • Defining a buffer zone that includes the sightline corridors extending beyond the WHS. Fountains Abbey WHS (see [ECS15, fig. 8]) provides a precedent. The winter solstice sightline to the SW from Stonehenge is the single most important sightline in the WHS. Currently, its integrity is compromised by the existing A303 road, crossing the sightline just ~500m from Stonehenge, and by three plantations of tall trees—Normanton Gorse, ~1km from the site; The Diamond, just over 2km from the site; and a narrow plantation enclosing a trapezoidal area just over 3km from the site— each of which blocks the view to the distant horizon, formed by part of a hill ~1km WNW of Druid’s Lodge (4.4 km from the site). Thanks to the removal of the A344 road, direct approach to Stonehenge is now possible once again along the Avenue. This means that the view straight ahead is of prime importance at all times, not just around the time of sunset on days close to the winter solstice. We believe that an important priority, especially given the prospect of removing the current A303, should be to clear a strip through the trees currently blocking the SW sightline so as to restore it to its original state and permit the view both of the setting solstitial sun nowadays and also of the position where the sun would have set at the time of construction. This implies opening up, and keeping clear, a sector of landscape at least 2° wide in azimuth, so as to include the whole sun as the lower limb contacts theground, the last gleam, the sun’s position in 2500 BC, and a margin of at least one solar diameter (0.5°) on each side. A sector ~2° wide opening out from Stonehenge would be ~150m wide at a distance of 4.4 km. We feel strongly that any form of lighting (either fixed lighting or vehicle lights) needs to be avoided along the full extent of the sightline. Even at a distance of a few kilometres, lighting would affect the view directly along the sightline at sunset or at night, running counter to all the progress being made in restoring the site to its landscape and sky. Ideally, and perhaps essentially, the landscape topography within the SW sightline (sector) should be left completely intact. Only this would guarantee absolutely that the integrity of the sightline is preserved for the future. This would imply that the western tunnel portal would need to be moved to the west of this sector, and that no part of the approach road should be cut through this sector. i.e. screened behind natural ridges (even when these have been cleared of trees) and below the distant horizon. Under no circumstances should existing or additional trees be used for screening. b) All vehicles must be screened from view at all times. Not only would vehicle lights be intrusive at night: the eye would be drawn to any movement during the daytime. This implies that at all points the road surface must be at least 5m below the visible natural topography (when cleared of trees) and horizon. In particular, there must be no direct view of headlights/rear lights from vehicles, especially those travelling directly or almost directly towards or away from the monument. c) For a two-level road junction, given that road vehicles may be up to 5m in height, (a) and (b) imply that the ground surface would need to be at least 11m below the viewshed from Stonehenge at every point. d) Even if no lighting is installed at the tunnel entrance and junction, having these on the sightline opens up the possibility that lighting will be required (perhaps as a legal requirement, e.g. because of altered health and safety regulations) at some point in the future. In sum, no part of the road, built constructions (bridges, viaducts) or earthworks, signage, vehicles, street lights, vehicle lights, or diffuse or reflected light from vehicles should be visible along the sightline. Trees cannot be taken into account: any screening by trees is temporary but changes to the visible topography are permanent and irreversible. It would be doubly bad to rely on trees to screen the road, related constructions, or lights. The onus would need to be upon the planners to demonstrate that the proposed earthworks would NOT compromise the sightline. This would not only involve topographic modelling; it would also require specialist input from archaeoastronomers. Even if the above concerns are addressed, it is possible that roadworks might still be visible from other points along the sightline, such as the “Sun Barrow” immediately to the NE of Normanton Gorse. This is relevant to Attribute 3 as well as Attribute 4. The composite visibility plan (Map 10) in the 2009 Management Plan [MP09, p. 184] might be helpful in regard to this issue. The eastern tunnel portal is placed so as to preserve the line of the destroyed Avenue, and should not, therefore, be moved further west. Thus it appears that if the tunnel length is constrained at 2.9km, then the western portal could not be moved westwards out of the SW sightline sector. The proposed western portal is placed at a low point in the landscape, and the two proposed approach routes follow relatively inconspicuous courses through the landscape: in particular, the southern route runs close to a dry valley. This implies that it may be tricky or impossible to find alternative approach routes without either destroying archaeological features or making the roadway more visible. Together, these imply that it could be challenging to find acceptable alternatives under current constraints. This makes it all the more imperative to ensure that the integrity of the solstitial sightline to the SW is not compromised, simply in order to find a swift workable solution. [ECS15] Chadburn, A. and Ruggles, C. (2015). 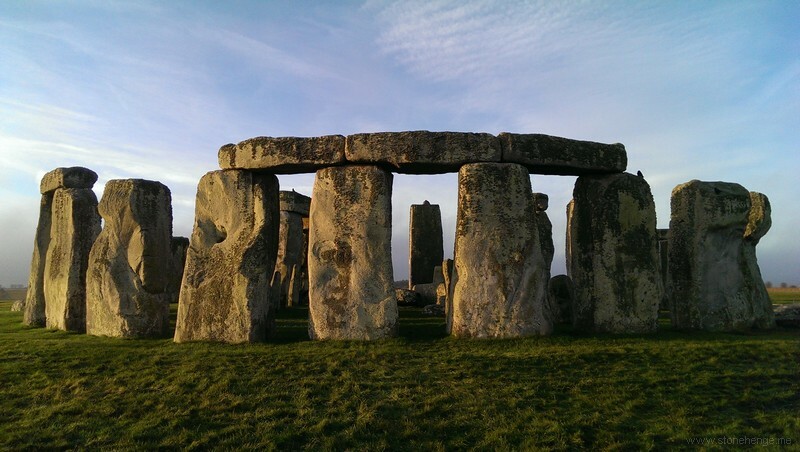 Stonehenge World Heritage Property, United Kingdom: Extended Case Study. Tyson, R.). Published on behalf of the Stonehenge and Avebury WHS Steering Committees.